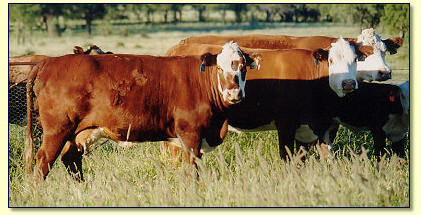 Uncomplicated crossbreeding taps the economic potential of hybrid vigour. 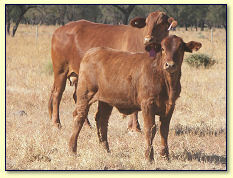 Gelbvieh crossed with any breed will produce an optimum combination of feed efficiency, carcass yield and carcass quality. 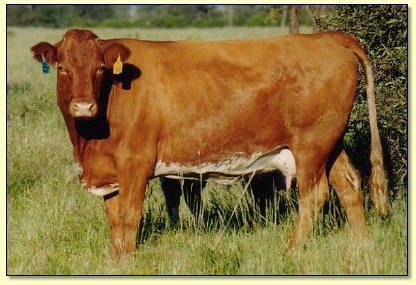 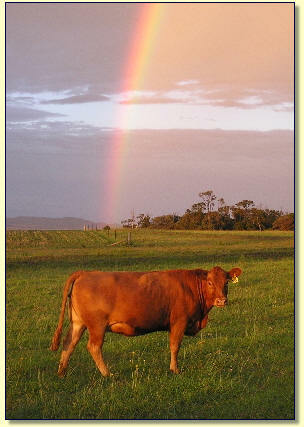 Norollle Gelbvieh bulls are being used with success in crossbreeding programs in Angus, Braford, Charbray, Charolais, Devon, Droughtmaster, Fresian, Grey Brahman, Hereford, Poll Hereford, Red Brahman, Saler cross, Santa Gertrudis and Shorthorns herds in Queensland. 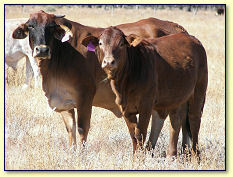 clients Fred and Daphne Rich. 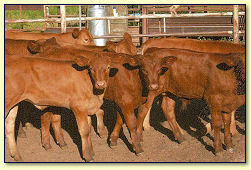 These calves are out of their Gelbvieh herd which goes back in from two to five generations to pure Devon cows. 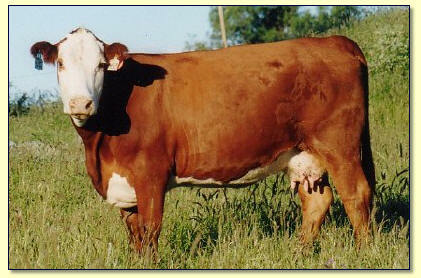 The cows are about 60% polled. 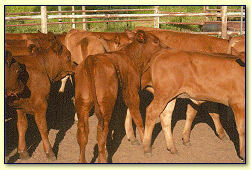 Toowoomba Qld, the calves are as described by Fred Rich. 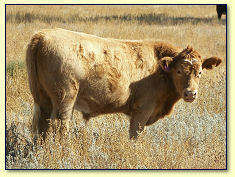 Photos below courtesy of Fred Rich were taken January 2012. 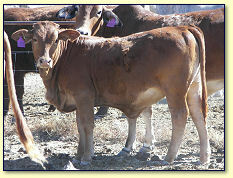 Gelbvieh and Gelbvieh cross bulls. 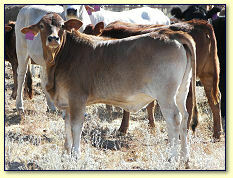 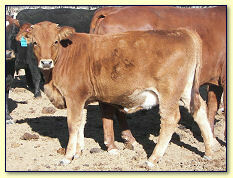 Gelbvieh x Commercial P H at "Norolle" Roma Qld. 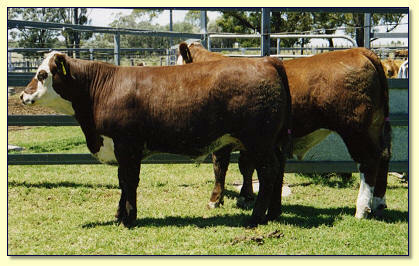 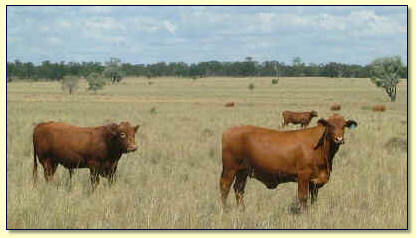 Norolle Gelbvieh bulls with Santa Gertrudis females at "Wongabel" Surat Qld.